Get Admitted Directly into 200L with FUTA UABS – 2016/17. 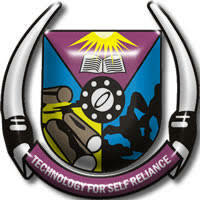 Federal University of Technology, Akure, FUTA Advanced Basic Science programme admission form for the 2016/2017 academic session is out. Candidates will be eligible to register for JUPEB, IJMB & CIE. Applications are invited from suitably qualified candidates for admission into the Federal University of Technology, Akure (FUTA) Advanced Basic Science (ABS) programme for the 2016/2017 academic session. The Advanced Basic Science (ABS) Programme is designed to prepare candidates for direct entry admission into 200 level undergraduate degree programmes offered by the Federal University of Technology, Akure and other Universities within and outside the country. See also: How to Apply for FUTA Pre-Degree. Candidates should possess five Credit passes in WASC, NECO, GCE at not more than two sittings in relevant subjects from English Language, Mathematics, Physics, Chemistry, Biology/Agric. Science, Economics, Geography, Government, Business Studies, Commerce, Accounts, Literature, Christian Religious Studies and History depending on their proposed course of study. FUTA ADVANCED BASIC SCIENCE – AVAILABLE PROGRAMMES. FUTA ABS ADMISSION – METHOD OF APPLICATION. 1. Candidates are to pay application fee of Fifteen thousand naira (N15,000.00) excluding bank charges on e-transact basis in any bank that is on e-transact platform. The listed helplines could be contacted for clarification on issue bordering on the Programme: 08062341061, 08034258957 and 09059617087.